Is this the night, with the Moon vs. Jupiter, some aurora and NLCs? If Nature conspires the coming night could bring a double or even triple treat to Europe, weather permitting, of course: guaranteed is an occultation of Jupiter by the Moon in the wee hours, but there could also be some mid-latitude aurora following a solar X flare & CME - and the season for noctilucent clouds is also still in full swing, with several good displays recently. 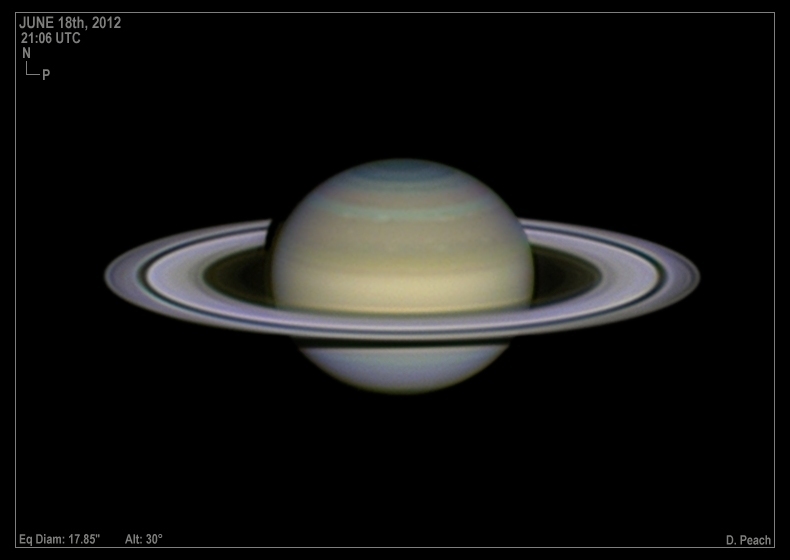 The Jupiter occultation early on July 15 has spawned countless previews, e.g. in English (more, more, more and more), German (more, more, more, more and more) and Romanian; animated simulation for various places can be downloaded here. The lead-up to the show was the Venus/Hyades/Jupiter/Pleiades/Moon line-up in the morning sky, as imaged today (dito) and on July 13, July 12, July 11, July 10, July 9, July 8 (dito), July 7 (dito), July 5, July 3 and July 1. Regarding Jupiter also an unusual call for satellite photometry and the NEB action. A CME should hit the Earth in the coming hours, following an X flare on July 12 (more plus videos here, here and here) from the big activity region (1)1520 (more, more and more): as so often confusion abounds about what's gonna happen as does the usual hype (also in Germany; more). Rather monitor what the the ACE satellite feels and follow this discussion thread, in German and full of data. Meanwhile pictures of AR 1520, AR 1515 - which flared a lot - and the full disk from today (at sunrise) and July 13, July 12 (more and at sunset), July 11 (more, more and more), July 10 (more, more and more), July 9 (more and more), July 8, July 7 (more and more, also an X flare in AR (1)1515, more), July 6, July 5, July 4, July 2 (also a SID) and June 30. Plus explosive solar activity, the Sun's interior motion and the H-IC and Sumi rocket flights. In other news the 4th nova of the year has broken out in Sagittarius and reached 8th mag. : details here, here, here, here, here and here, also on Nova #3. • Comet 96P/Machholz is again in SOHO's FOV (more and more), PanSTARRS is doing well, the Siding Spring NEO hunt is in trouble (video and more) and dwarf planet Pluto has a fifth moon (more, more, more, more, more, more, more, more, more, more, more, more and more). • Amateur astronomers and exoplanets - and supporting Lowell Obs. • Aurora sound has been recorded (more - and other links here, here, here and here), plus South Pole pics. • A sprite imaged from the ISS (more and more). • NLCs on July 11/12 (more) and July 1/2 (more, more and more) - and from Calar Alto (German). • And another mistaken contrail (more). This month - which began one second late because the length of day had changed too much (more, more and more) has little to offer except planetwise right at dawn: on the one hand Venus is still in the Hyades for a good week (a great view of June 28), and Jupiter is a bit higher. Where it will be occulted by the Moon in the wee hours of July 15 for central and southern Europe, ahead of a triple conjunction with Aldebaran. (Also recent pictures of Jupiter & Venus on June 27, Moon & Venus on June 18, the crescent Venus on June 2-4, Saturn on June 18 and a rotating Mars from March images.) The most interesting news about Jupiter, however, are dramatic changes in the NEB (earlier), seen best in this montage and pictures from June 30 (more), June 26, June 24, June 19 (NIR; other wavelenghts), June 17, June 13 and June 4-9. More pictures, reports & videos about recent rare events that merit being linked to: from the Transit of Venus here, here, here, here (more), here, here, here, here, here, here, here (page 95 = PDF pg. 5), here, here, here, here, here, here, here, here, here, here, here, here, here, here, here, here, here, here, here (more), here and here - and a 1-hour talk (2012 results from 0:29; context). • From the lunar eclipse a timelapse. • And from the solar eclipse pictures from Texas and Nevada, videos from Xiamen (with the chromosphere), Bryce Canyon and Mt. Fuji, a professional video from Arizona - and a commercial using a weird fake eclipse. • Also from the Sun the disk today, prominences on June 29, nothing on June 22, the disk on June 19 with departing AR 1504 and May pictures (more). • Plus another possible mechanism for corona heating (more, more and more), Earth B field FX and a solar science rocket launch. Elsewhere in the Universe comet PanSTARRS on June 26, 500 pics of 6000 comets (so far), collected amateur discovery stories, TNO Salacia, a movie of NEO 2012 KT42 (more and more), Arecibo observations to size NEO 2012 LZ1 (more and more), the AG45 story again and rapid response ideas. • An old crater in Greenland (more and more) and new meteor showers. • Another Nova in Sgr faded quickly (more, more and more) as did Nova Oph, one of many novae around. • Also a call for observing an unusual occultation and a paper on amateurs & variable stars. The noctilucent clouds have been active recently, see both from the ground and from orbit: a "real-time" gallery and selected pictures & reports from the nights June 26/27 (more, more and more), June 25/26 (more), June 24/25 (more, more, more, more, more, more, more, more, more, more and more), June 19/20, June 18 and June 17. • There have also been some aurorae after a flare while a U.S. show on June 25 was more difficult to explain. Pictures of June 19, June 18 (more and more) and June 17 (more); also from Scandinavia last winter and from the last 3 years.